Welcome, nerds, to a new phase in our adventure together: the Original Series Movies! These uniforms: The Worst, or The Literal Worst? 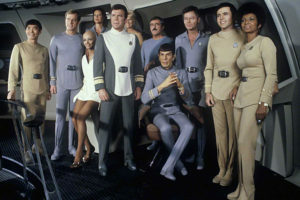 Star Trek: The Motion Picture cost $35,000,000 USD to make (~125 million in 2017 money), and made (adjusted for ticket price inflation) nearly 290 million dollars, making it the second-highest grossing Star Trek movie of all time, followed only by the first reboot movie in 2009. Of those two sets of facts, only the second is a minor mystery, because this movie is 2 hours and 12 minutes long and a solid 90 minutes of that is endless panning shots. Our special guest Elise subtitled this film Star Trek: The Motion Panning, and we can’t really think of a better one. Gene Roddenberry loved him some tiny space robots, to the point where an earlier episode of TOS predicted the interstellar Voyager probes that hadn’t even been launched yet. This movie is semi-loosely based on that episode: tiny space robot sets bravely out into the universe, meets a sentient robot culture, gets a tricked out new ride, budding sentience and an existential crisis, and heads home to seek out its creator. In both cases, the reveal that filthy ape-descended humans are its creator is something of a disappointment. YOU’RE NOT MY REAL DAD. There are some positives in this film: a soaring sense of optimism, curiosity and wonder, which of course is Star Trek’s stock in trade. Totally cool-looking (if not well-designed) spaceship interiors. Questions about the nature of sentience and humanity and how we define our own purpose and what value that conversation has for us and for others. There are also some negatives: landscapes trying harder to out-do Star Wars and 2001: A Space Odyssey than create visuals that supported the story they were trying to tell. 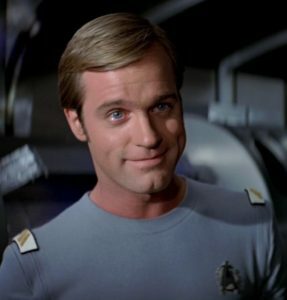 There are some catastrophic issues with pacing – actually, catastrophic doesn’t seem strong enough a word: we spend 90 minutes just getting to the conflict, futzing around in space with engine problems and giving endless airing to Kirk’s midlife-crisis-fueled feud with his best girl’s new man, replacement captain of the Enterprise, William Decker. AKA: The creepy dad from 7th Heaven. How did all of those actors end up in these films? By the time we actually meet V’Ger, the monster of the piece, and the actual story starts, there are maybe 45 minutes (maybe 30 if you account for the sheer. number. of panning. shots) in which to begin the encounter, suss out the extent of the mystery to be solved, engage with the only other non-crew character in the film, The Probe Formerly Known As Lieutenant Ilia, and solve the mystery. 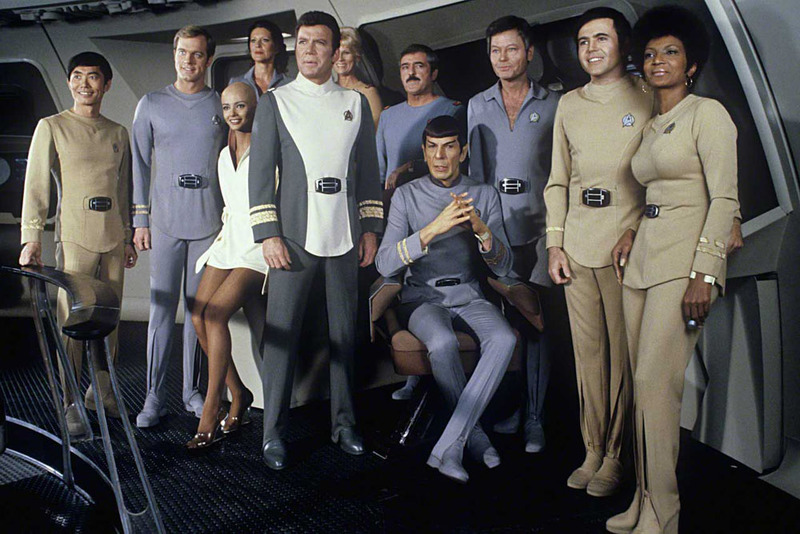 Star Trek stories have a solid, tried and tested structure, and this movie smashes them all to pieces and scatters them into the vacuum of space. It’s like a particularly gruesome transporter accident (which is also given a full ten minutes of screen time), but with plot. They could have given up a couple of minutes of panning to get Ilia some pants. I’m just saying. And who keeps heels in the shower?? 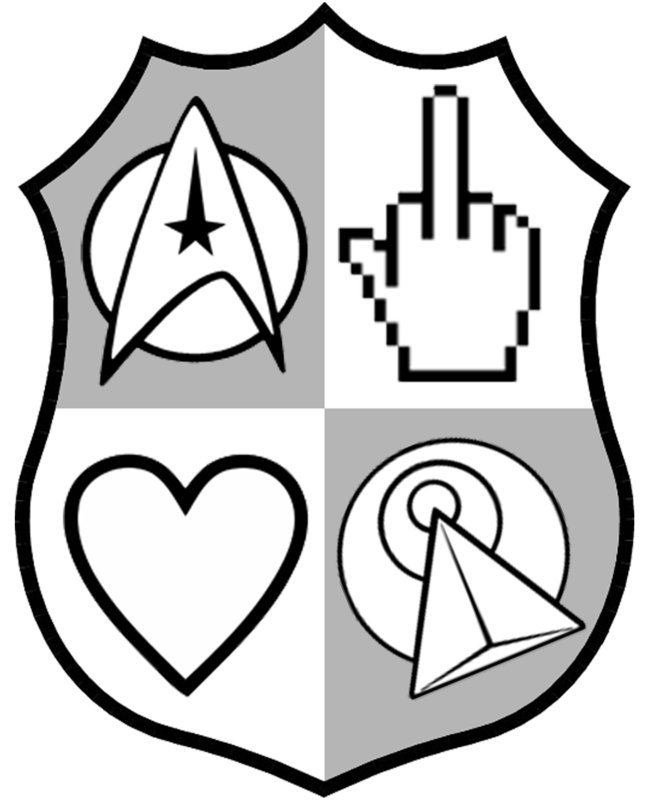 We wanted to spend more time in the story and less time in the show-and-tell of the effects budget, and we wanted more Trek-esque discussion of the nature of humanity and sentience than the maybe 6 minutes we get before – spoiler – Decker gets absorbed by a space robot to join with his true love Ilia in space-robot-afterlife bliss. At least, we’re pretty sure that’s what happened. The bottom line: this movie would have been 150% more interesting if it had focused 80% more on Ilia and V’Ger and the ethical dilemmas at plan than on The Eternal Pan, but you know what? I still enjoy it. And it’s still not the worst Trek film out there. That title is reserved for Final Frontier.